As well as helping animals in need and promoting animal welfare, we have important obligations to our supporters. In return for your commitment to our work we make this commitment to you. Roscommon SPCA is fully committed to achieving the standards contained within the Statement of Guiding Principles for Fundraising. The statement was developed by the ICTR (Irish Charities Tax Research Ltd.) and exists to provide charities in Ireland with a Fundraising Code of Practice. Roscommon SPCA believes we meet the standards the Code of Practice sets out. Roscommon SPCA is registered with Charities Regulatory Authority. Click to see our details with CHARITY REGULATORY AUTHORITY. 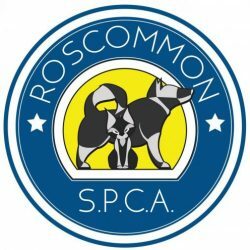 Roscommon SPCA is committed to complying with the Statement for Guiding Principles for Fundraising and has formally discussed and adopted the Statement at a meeting of the Committee members.